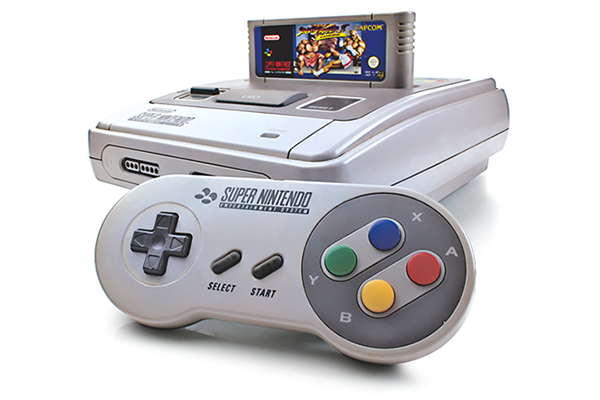 What constitutes a great games console? Is it the games, the graphics, the multiplayer experience, or a combination of all these and more? In truth, the criteria for a truly enjoyable machine is likely to vary from one person to the next, but one thing we can all agree on is that there have been plenty of memorable systems over the years. It is always an interesting debate, so let's open the stage and ask: which is the best games console of all time? The above picture represents my pick of the bunch - I had plenty of fun-filled hours with the SNES, though the Microsoft Xbox 360 isn't far behind - but let's hear your opinions. Which one console stands out above all others, and why? Share your thoughts using the comments facility below. I will always have fond memories of the PS1, yeah there were Ataris and all sorts before hand but the Playstation heralded the true beginning of the console generation IMO. I agree with the ps1, just because of how much more power they managed to get out of it than expected, the opening up of 3d polygons to the masses, the thumping speed and soundtracks of games like Ridge Racer and Wipeout, it literally was a home arcade machine and there was what seemed like an endless supply of both western and Japanese titles with all kinds of new genres and ideas coming out of the woodwork. I have gamed since the spectrum, commodore and amiga days but the transition from a Sega mega Drive to a PS1 was unreal, it was such a great gaming era and it even carried through to the ps2 era to some extent. Playstation 1 definitely! It was such a huge jump for games and gamers. No other consoler has made the jump and impact it did since or dare I say before either. I've only ever owned a sega megadrive console wise so I'd have to plump for that one.